General Assembly of Members of the Association of Prosecutors – Lex Super Omnia. 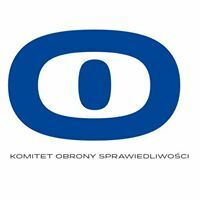 – Stowarzyszenie Prokuratorów "Lex super omnia"
On 27 May 2017 the General Assembly of Members of the Association of Prosecutors – Lex Super Omnia adopted a resolution on the assessment of the functioning of the prosecution under the Law on prosecution of 28 January 2016 that entered into force on 4 March 2016. The resolution heavily criticizes the legislative process that led to adopting the act, its content, and the effect the act is bringing about to the functioning of the Polish public prosecution. The resolution stressed that the prosecution has become a political tool in the hands of the Minister of Justice – Attorney General. The prosecution focuses at the moment to a large extend on pursuing the interest of the government party and the personal goals of the Minister of Justice. The Association expressed a strong opposition against involving the prosecution in actions that violate the Constitution and undermine the principle of separation of powers, such as: initiating or accepting by the Minister of Justice – Attorney General proposals of laws that are contrary to the Constitution, ignoring the statutory duty to ensure the participation of the public prosecutor in proceedings before the Constitutional Tribunal, or refusing to prosecute the refusal of publication of the judgments of the Constitutional Tribunal. The Association opposed verbal aggression and contemptuous statements about judiciary and prosecutors, constantly repeated by the media and the representatives of the Ministry of Justice, and expressed its concerns about diminishing the prestige of the prosecutor’s profession that is being reduced to the role of a politicized investigator, as well as decreasing the trust in the prosecution as such. The resolution heavily criticized the new human resources policy that aims at forcing prosecutors into obedience and uses methods that are unheard of in any democratic state of law. The Association appealed to the prosecutors – in the interest of the citizens – to keep their vows that oblige them to faithfully serve the Republic of Poland, and to react actively and solidary on attempts to violate their independence, which constitutes the foundation of a dignified and honest performance of prosecutors’ professional duties. Materiał przygotowany przez INPRIS – Instytut Prawa i Społeczeństwa. Rozmowa z prok. Krzysztofem Parchimowiczem w Superstacji.